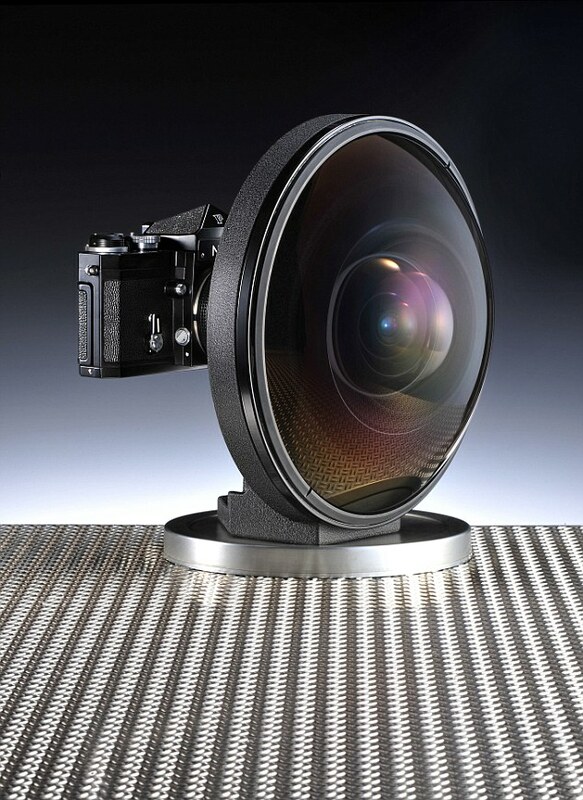 A camera lens so wide-angle it can 'see behind you' - offering a 220-degreee field of view - has gone on sale in London, priced at £100,000 - minus the camera. When it was introduced in 1970 at the Photokina exhibition, it was the most extreme fisheye lens of all time - a 10lb glass dome which dwarfs the camera attached. Front lens cap: Slip-on, delivered in a rugged metal case 'Our vintage camera buyer Toni Kowal spent six months tracking it down from overseas,' says Gray Levett, of Grays of Westminster, which is selling the lens. Nikon stunned the photographic world at Photokina in 1970 by introducing a 220 º fisheye Nikkor with a speed of f/2.8. The Nikon 6mm lens prototype was never put into full production, but was made to order for several specialist photographers. Jeremy Gilbert, Group Marketing Manager at Nikon UK says: ‘The 6mm f2.8 lens is an incredibly rare lens that was initially designed for scientific and meteorological use. It represents the pinnacle in lens design, from a time when lenses had to be designed with a slide rule and individual ray diagrams. 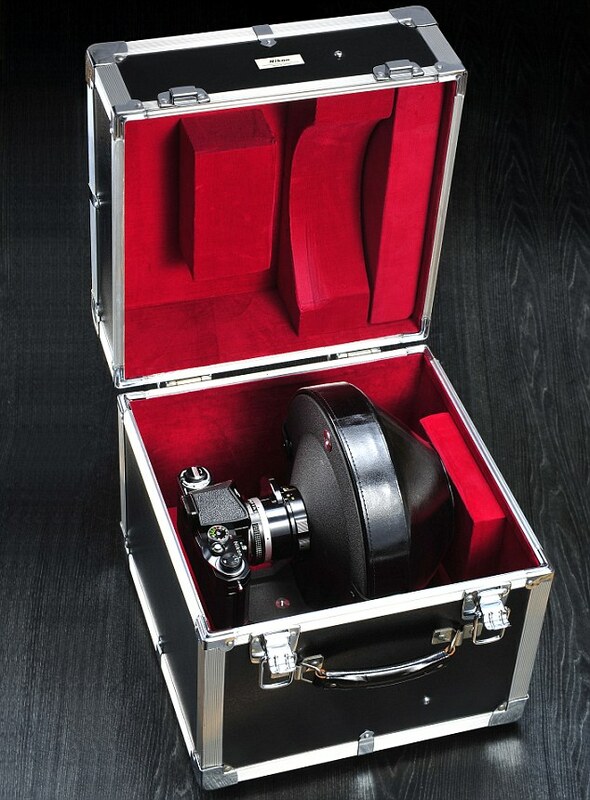 The 10lb fisheye lens was shown off at the Photokina exhibition in 1970, and was made to order from 1972 'The 6mm is for scientific and industrial applications and special effects when shooting portraits, architecture and interiors,' says Levett.